Editor’s Note: The author of this article, Guy Finley, is scheduled to be a guest on the Conscious Life Awakened Speaker Series (CLASS), August 4, 2015 @ 5 pm PST. To access the call and/or the replay recording, join CLASS for free here. Everyone wonders whether or not there is one great secret for truly successful living. There is. And it is not a secret. It has been quietly, steadily revealing itself right in front of us all along. We just couldn’t hear it over the clatter and chatter of our own secret demands. Listen quietly for a moment. Everything can change right now. Learning to hear this supreme secret is no more difficult than choosing whether to swim against a current or to let it carry you safely to the shore. Let it speak its wisdom to that secret part of you that can not only hear what it is saying but that is, in reality, its very voice. Try to see that it is not what life has brought to you that you don’t like. It is your reactions that turn the gift of life into the resentment of it. Because these unhappy feelings are born out of life failing to conform to your ideas of what you need to be happy. This shows you, if you will see it, that Life itself isn’t denying you happiness. It is your ideas about life that have failed you. Give up these wrong ideas instead of giving up on life. Be increasingly willing to see they are nothing but a constant source of conflict. Your false nature will tell you that you must have these self-protecting ideas; that you can’t live without them or you will lose something valuable. What you must do, in spite of any such protest to the contrary, is to see that you can’t live with them. All you will lose is your unhappiness. 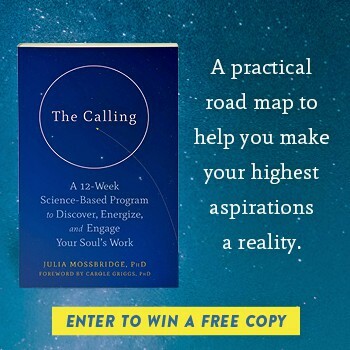 Here are two lists that will not only make these life-healing ideas more personal for you, but they will help you to help yourself make a higher choice when it comes to what you really want from life. It would be valuable to study then compare the lists to each other. You may wish to add to either list some of your own insights, which I highly encourage you to do. You are often nervous and anxious because life may not cooperate with your plans. You are willing to sacrifice whatever it takes to get what you want, and this may include your integrity. You are usually scheming in some way to win your next victory. You are either in a battle or recovering from one. You are unable to rest quietly when you need to. You are easily angered when someone or something gets in your way. You are forever driven to want something else. You are against anyone else who also wants what you want. You are certain that what you have is who you are. You are always trying to convince yourself that you got what you want. You are never disappointed with what happens. You are always in the right place at the right time. You are quietly confident no matter what the circumstances. You are out of the reach of anger and anxiety. You are awake and sensitive to your surroundings. You are free of ever feeling as though you’ve missed out. You are never thrown for a loss. You are in total command of events. Here is the most important point of all. No human being needs control over life because, in reality, no one is apart from it. Who you really are, your True Nature, is not separate from life. Let Life bring you itself. Welcome it. At each instant, it is new, full — untouched and undiminished by any moment before it. To enter into this full relationship with Life is to give yourself to your Self. Fulfilling the true purpose of Life is fulfilling yourself. Here are five special key lessons to help you want what Life wants. Nothing can be released and resisted at the same time, which means that any attempt to reject some weakness detected in us is the same as protecting it. True nobility is not a question of birth right or social rank; it is the native estate of each soul that, upon awakening to its divine inheritance, knows the strength of these twin truths without having to think about them: justice and mercy are one, as are love and fearlessness. Nothing judges you; it is what you love — and that love alone — that either persecutes you, or stands by you in your hour of need. Whoever serves what he or she fears has failed to see that all they win for their service is to become more fearful. We can spend our time struggling, in vain, to make others into what we want them to be, or we can see the inherent flaw in thinking this way and — rather than trying to change others to suit our needs — see through the false idea that someone else is responsible for our fulfillment. Reminder: the author of this article, Guy Finley, is scheduled to be a guest on the Conscious Life Awakened Speaker Series (CLASS), August 4, 2015 @ 5 pm PST. To access the call and/or the replay recording, join CLASS for free here. Copyright Life of Learning. All Rights Reserved. Permission granted to reprint with author credit.